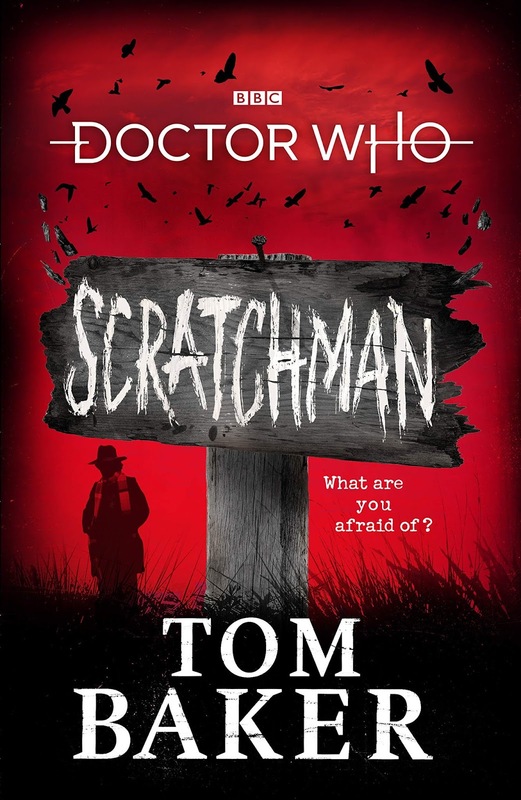 In fact Scratchman is essentially two novels. The first is a familiar community under siege setting which gives way in the second half to a full on fantasy epic. The first half would have made a TV Doctor Who story with some of the extreme horror dialled down; the second half is something that would only really be filmable on a big screen budget. The initial setting is a remote Scottish village – maybe Tom and Ian had the idea when filming `Terror of the Zygons` with which it shares some basic similarities. The Tardis lands and pretty soon the trio find themselves being pursued by walking scarecrows. 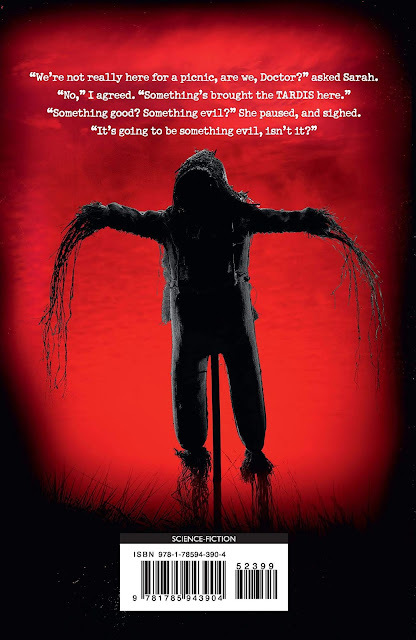 It is more of a mood piece than an actual story and the strands- especially one in which a scarecrow enters the Tardis when Sarah is inside- seem to go on for a very long time. 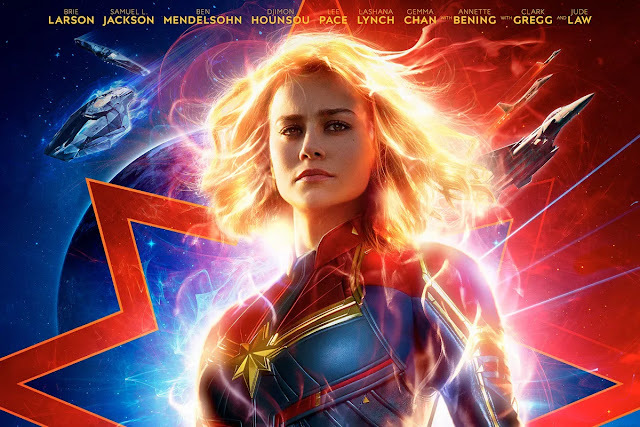 If this gives the story some literary heft, being more like the structure of a novel, it’s hard to see how the intensity could have sustained on the big or small screen. To reach page 132 and find you’ve essentially just read the prologue is also somewhat dispiriting. This is the page where the story turns on itself, the village scenario giving way to a full on entry into the world of Scratchman aka the Devil. As the threats and dangers are essentially the things that the Doctor, Sarah and Harry most fear there is a surreal element to the story especially when the Doctor is ferried about this scorched land by a chirpy taxi driver and later integrated by a lethargic lizard! 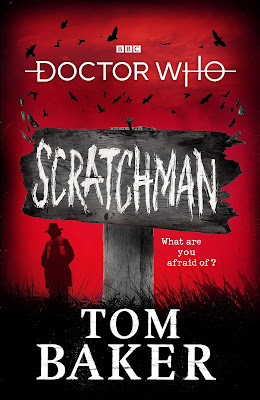 Inevitably and despite attempts to make him different (he has a head of fire but sports a business suit) Scratchman himself is something of a vague villain whose wish to break through to the Doctor’s Universe using things the Time Lord fears is not especially gripping. There are two curious aspects to the book; one is that the story is often told in first person by the Doctor. Generally frowned upon as the Doctor is supposed to be as mysterious to us as he is to the enemies he faces, this only works sporadically as it offers little insight into the Doctors’ thought patterns. To be honest more recent lines in the tv series- especially when Matt Smith was the Doctor- gave us more of a peak into the way the Doctor perceives things than we get here. Also the story is framed by another trial in which the Doctor is justifying himself by using this story to show his fellow Time Lords about the nature of fear. Rather like the mid 1980s `Trial of a Time Lord` sequences these interjections offer little to the story except prolonging it. It does give the writers some fun to create new aspects of the Time Lords though including someone called the Zero Nun and something called the Sword of Never. The novel would however be better without it. You’d think that scarecrows coming to life just involves wobbly straw men wandering around looking spooky but here they are given something of a detailed back story that includes a bizarre ritual and graphic descriptions of the way people become scarecrows. There is little holding back in a narrative peppered with gruesome sights and strange deaths. My favourite visual is a former policeman now turned into a scarecrow riding a bicycle but with an oil lamp instead of his head. Both Sarah and Harry are on the receiving end of several extended assaults- one involving Harry managing to miss every attempt to hit him is amusing- while the Doctor spends the bulk of the first portion of the story making a device that will quickly evolve some moths that can be used as a weapon. All three leads are well realised as the characters we know and love particularly the banter between Sarah and Harry. There is no doubting the atmosphere the narrative cooks up with every act of violence or fear ramped up by a deliciously nasty turn of phrase. Some of the sequences are truly imaginative- one sequence set in a bell tower in the Tardis is fantastic. Equally inside the Scratchman’s realm the story similarly stacks peril upon jeopardy upon danger. There are ideas here worthy of their own story but piled one on top of the other the results are like an enormous chocolate cake that is just too much to gorge on at times.